An iPhone locked to a particular network provider is no doubt a heartache to many people. Why should you use only a single network provider when you have the opportunity to use different network providers on the same iPhone device? The benefits of using an unlocked iPhone is the fact that you are not bound to any contracts, you can use the phone in different countries and you don't have to worry about any hidden charges. If you want to be in the know on how to unlock iPhone 5 without SIM or how to unlock iPhone 6s without SIM, I have different methods which you can easily use to bypass this lock. Depending on the nature of your iPhone or your flexibility, the method you choose as listed below will no doubt guarantee you results. Advanced technology has no doubt brought to light the emergence of different iPhone unlocking programs. However, not all of these programs are trustworthy as some will void your warranty and delete some of your valuable information. With this in mind, you need a program such as DoctorSIM Unlock Service that guarantees you the safety of your precious data as well as maintains your existing warranty. If you have an iPhone 5, 6, or 7 and you want to unlock it without necessarily using a SIM Card, just follow these simple steps. Unlock iPhone without SIM Card in 3 steps! The how to unlock iPhone 5 without SIM using dr.fone method requires you to visit DoctorSIM Unlock Service official website and select your phone model as well as the brand. Once you have selected your phone model in step 1, enter the details of your iPhone as well as your country of origin as shown in the screenshot below. Once you have provided your iPhone details, scroll down the page and enter your IMEI number as well as your contact information (email address). Be sure to give out a valid email as it will be used as a channel of communication once the lock has been bypassed successfully. Once you have made the payment, you will have to wait for about 1-2 business days for the code to be sent to your email address. Replace your old SIM Card with a different one from a different carrier and switch on your iPhone. 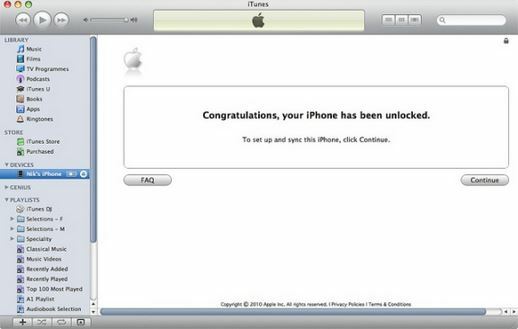 Once you are prompted to enter a code, enter the one generated by dr.fone to unlock your iPhone. It’s simple as that. You can unlock your iPhone via your carrier without necessarily using any external program. All you need to do is to contact your service provider. Depending on the network provider you use, different providers usually have a detailed method on how to unlock your iPhone. On the other hand, we have providers who usually don't provide their subscribers with these unlocking methods. You should, therefore, get to know about your provider before seeking iPhone unlocking services. If you want to know how to unlock iPhone 6S without SIM via your carrier, follow these simple steps. For you to unlock your iPhone, you first have to contact your network provider to make sure that they support SIM unlocking services. If they do support, you will be required to sign a contract or an agreement depending on their terms. If they don’t support these services, then you will have to seek external programs and methods to do this for you. Once your carrier accepts to unlock your iPhone, you will have to give them a few days to generate the codes and unlock your phone. Once this is done, your carrier will inform you either via a text message, phone call or email. The method used for communication will depend on what you agreed upon when registering for the unlocking request. From this point on, your phone will be free of any locks and you can use it without any barriers whatsoever. If you are operating on an iPhone 7 and you don't know how to unlock iPhone 7 without SIM, worry no more since I have a method to see through. You can unlock your iPhone 7 by factory resetting it. As the name suggests, you will be required to factory reset your iPhone 7 to its default state. Though this method will restore your iPhone 7 to its default state, you will still be required to contact your carrier for them to issue you with the unique code, or for them to unlock the iPhone for you. Before restoring your iPhone to its default state, make sure that you have backed up your data and files to iCloud or iTunes. When setting up your iPhone after the restore process, use the backup to set up your phone again. 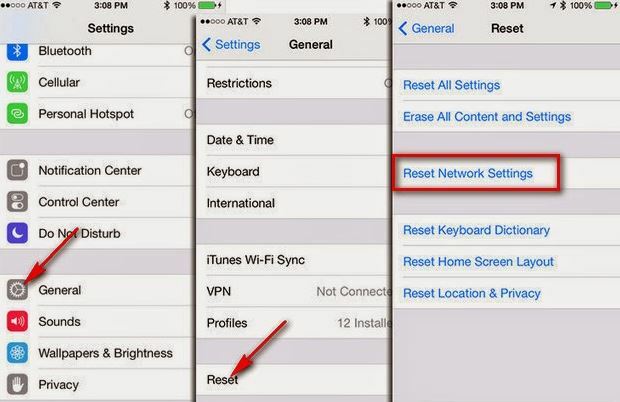 This is how you can unlock your locked iPhone without SIM card using iTunes and factory reset. First and foremost, connect your iDevice to your PC and open your iTunes account. Make sure that you have the latest version of iTunes. 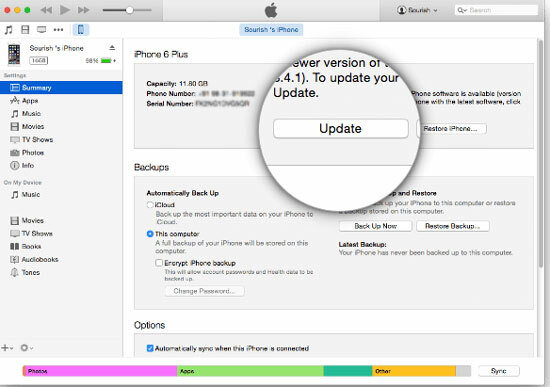 In your iTunes account, locate the "Update" option and click on it to update your iPhone. In a matter of minutes, your iPhone 7 will be updated to the latest version of 10. Once updated, unplug your iPhone for about 10 seconds and plug it back again. You will be in a position to see the congratulations message as shown below. To complete the unlock process, insert a new SIM card in your iPhone and perform the factory reset process by following these steps Settings> General> Reset> Reset Network Settings. Wait for the phone to restart. You can also switch the "Airplane Mode" on and off again. There you have it. That's how to unlock iPhone 7 without SIM in a matter of minutes. As we have seen in this article, it’s no secret that we have various iPhone SIM unlocking services to choose from and also the fact that all of them are highly dependable. With this in mind, it’s high time you kissed your single network provider goodbye and embraced diversity in your technological world. It’s also no secret that if you want to know how to unlock iPhone 6s without SIM, or how to unlock iPhone 6 without SIM, the methods listed above will no doubt sort you out. In this article, we are going to take a look at different methods that can be used to unlock a Sim-locked Telstra iPhone.